The Catholic Newman Center at Missouri Western State University was founded in 1971. The CNC is an extension of the Diocese of Kansas City-St. Joseph and focuses on educating college students in the ways of Christ and His Catholic Church. Are You looking for the Sacraments and to learn more about the Faith? When students come to the CNC they will find a strong and vibrant Catholic Culture from which they are able to participate in the Holy Sacrifice of the Mass and the Sacrament of Reconciliation. Every Thursday a presentation is given on a topic of Faith and the students are invited/encouraged to ask any questions they may have. Are YOU looking for other Catholics and to surround yourself with men and women of good Faith? The CNC each week offers a college men’s group and women’s bible study. These groups meet to discuss matters of Faith, Morals, and to build up the mystical body of Christ. So if you have questions about Catholicism, are looking to surround yourself with good wholesome people, and are looking for a place to attend Mass close to campus. We have what YOU need! Rediscover the Truths of Christ and His One, Holy, Catholic, and Apostolic Church. The vision does not disappoint. 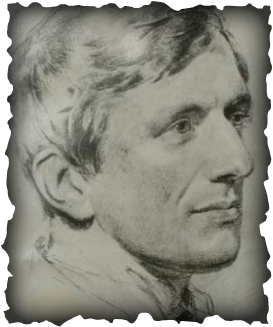 Who was Blessed John Henry Newman?